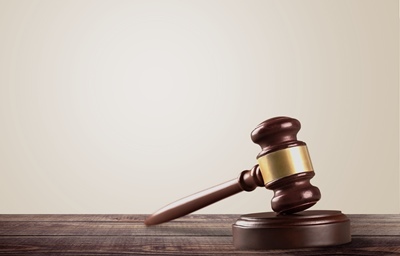 Mayfair Town & Country are warning of the strict legislation for private landlords in the UK, after a 2016 case involving two Sheffield landlords came to a climax last month, with fairly weighty prison sentences for the pair. A report published in Landlord Today told how Mark Cashin was sentenced to 18 weeks in prison, suspended for two years, while Rory Taylor was sentenced to 12 weeks in prison, suspended for 12 months, for a number of property offences, including the harassment and subsequent illegal eviction of a man living in a property they own near Sheffield, in January 2016. 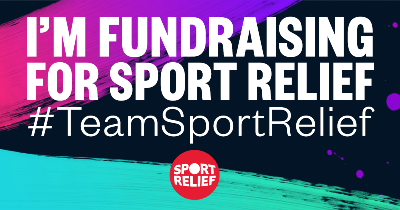 Mayfair Town & Country estate and letting agents have been out fundraising again, this time raising over £1,000 for Sport Relief. 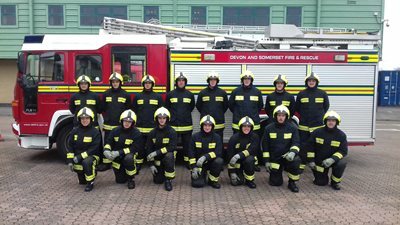 This year’s efforts on March 23rd saw the teams of Mayfair Town & Country collectively running, walking and cycling the 104.4-mile distance from their most Northern office in Clifton, Bristol, to their most Southern in Dorchester, Dorset as part of the ‘South West Challenge’. 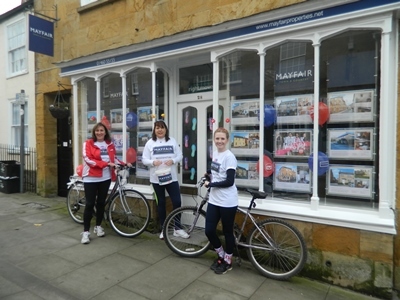 This year for Sport Relief, Mayfair Town & Country and Tamlyns estate agents are teaming up as part of The Property Group to take on the 'South West Challenge' on Friday 23rd March - clocking up the 104.4 mile total from Mayfair's office in Bristol to their office in Dorchester, via Tamlyns in Bridgwater and all offices in between - on foot, bike and gym equipment. 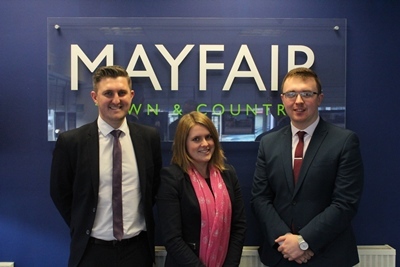 Mayfair Town & Country are pleased to learn that the Worle sales branch has been rated as GOLD and 'exceptional' in the Best Estate Agent Guide 2018. This is after rigorous testing from independent industry experts the Property Academy, with the support of the UK’s largest property portal, Rightmove. To choose which agents are listed in the Best Estate Agent Guide, each branch is scored against a unique set of performance and customer service criteria, using a combination of data analysis and mystery shopping over a 12-month period. Branches that display a Best Estate Agent Guide rating scored in the top 20% of branches in the country.